Are you using Bayer products ? 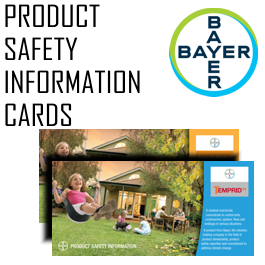 Remember to pick up your free DL Product Safety Information Cards to give out to your customers from Garrards. Stop by your local Garrards Branch to collect. Suspend Flexx is a new, innovative general insecticide from Bayer containing leading-edge patented Carrier™ technology. Two new products from BASF, Seclira Pressurised Fly Bait and Seclira Pressurised Insecticide. Train with FLIR to get the most out of your new Thermal Digital Camera. 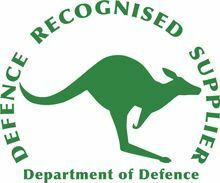 Course cost is $399 inc GST and is run by FLIR. Contact Garrards to register for training. Seclira® WSG represents the most significant innovation in general insecticide technology for over 20 years. Seclira WSG is the industries’ first non-staining, odourless, broad spectrum, non-repellent general insect control product for indoor and outdoor use. Termidor HE is now available from Garrards. Take your business to a whole new level of efficiency. Watch the video here. More efficient application – Termidor HE reduces the need for much of the disruption, digging and drilling typically required with a standard termiticide application. With state of the art advanced polymer technology, it dramatically improves the transport of Termidor HE’s active ingredient into the soil on application. 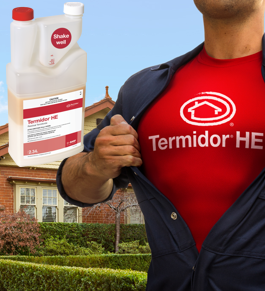 Don’t forget about the other great Termidor products which combined can be the most powerful Termite elimination solutions today. Termidor Foam, Termidor Liquid and Termidor Dry.